Published August 2018. Complete and unabridged. 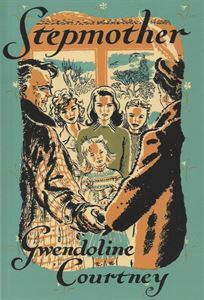 Also published as Elizabeth of the Garret Theatre and Those Verney Girls, Stepmother tells the story of the four Verney sisters who absolutely hate the idea of their father marrying again. Alison was broken hearted that she could not fulfil her dream of keeping house for her father. Elizabeth decided that the new Mrs Verney had somehow trapped her father into marriage. Georgie’s vision was coloured by fairy tales, and even Susan was shaken out of her comfort zone. But Nan had her own weapons which included patience, humour and good cooking and the battle was more than half won before Nigel Gifford, the great Shakespearean actor arrived on the scene to give the thrill of a lifetime to a family who loved acting above everything. Stepmother was first published in 1948 and has the most lovely line illustrations by T R Freeman which add greatly to the attraction of the book.